The Toronto Area Sustainable Neighbourhood Group are driving the change towards a Plastic Free Toronto. Over a number of years, we have been working with businesses and households to phase out single use plastic items such as plastic bags, and now coffee cups, cutlery, cups and straws. This Lakes Mail article showcases the progress made so far to phase out single use plastic products in the Toronto town centre. "There are only a handful of cafes and shops in Toronto that are still handing out single-use plastic products, and many of these are phasing out their back stock as they move to a more responsible product," Mr Dewar said. In some cases, it's taken years for certain businesses to get on board. There are, after all, economic considerations and customer preferences to take into account. But Mr Dewar said it was not about beating businesses over the head with green rhetoric. "We've been working with businesses, not against them," he said. "These changes have been led by the local businesses, and they've seen the writing on the wall." Over time, TASNG had chipped away at the message, getting involved in litter clean ups, bag swap stations, education programs, a fast-food litter campaign, the installation of public place recycling bins, and participation in the Responsible Cafes Project. 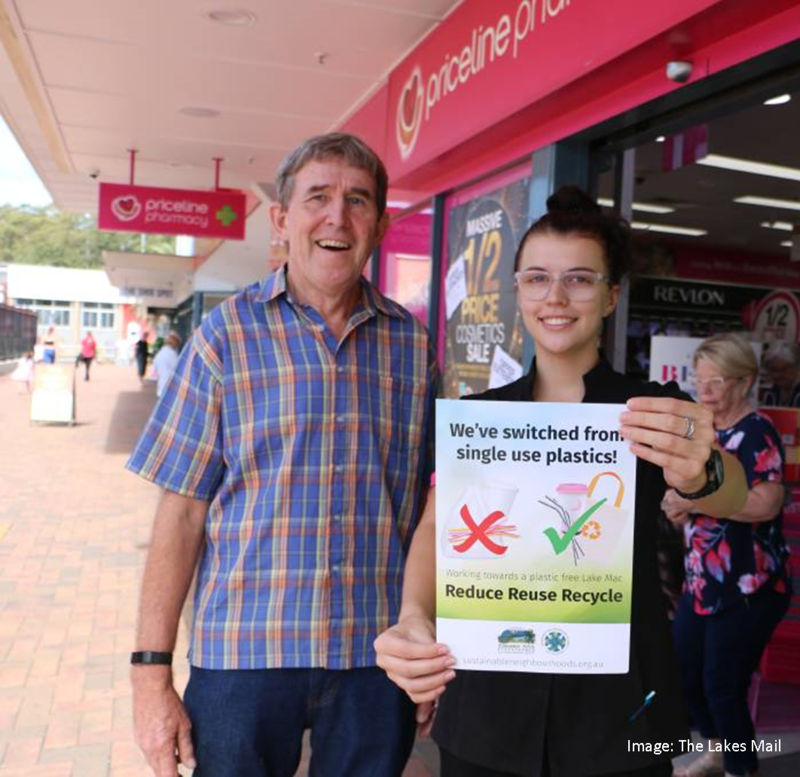 All had helped to change the community's behaviour around plastics and litter, and even businesses that had initially been reluctant to change their ways could see public expectations shifting. 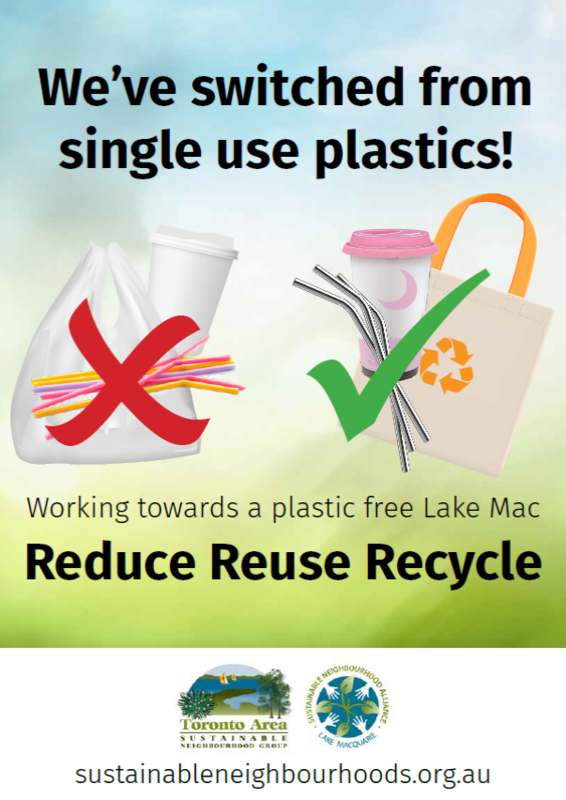 Find out more about our how we are encouraging the phase out of single use plastics around Lake Macquarie.